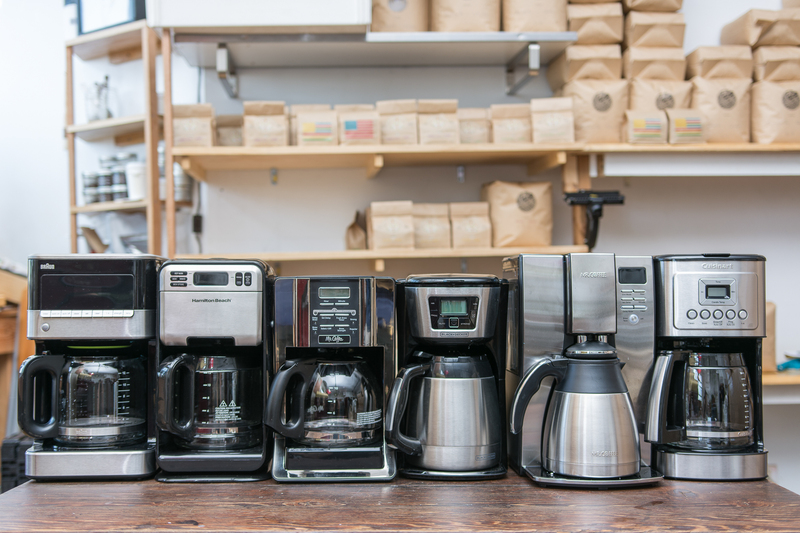 Wirecutter narrowed your options down to Hamilton Beach and Mr. Coffee. After considering 17 cheap coffee makers and testing the six most promising candidates, we think that the Hamilton Beach 12-Cup Coffee Maker (46205) is the best. In addition to winning over our tasting panel of pro coffee roasters, it has a host of user-friendly features like a removable water reservoir and a programmable auto-brew timer. Best of all, it was the cheapest model we tested. If you're someone who wants a decent cup of coffee for a budget-friendly price, a budget coffee maker is for you. However, a budget coffee maker, by definition, will not make you the perfect cup of coffee (we tried!). If you're looking for the best flavors, you'll probably want to experiment with a pour-over setup or one of the machines from our original guide to the coffee makers. In a side-by-side taste test, the OXO On 9-Cup, our pick from that guide, made much better coffee than even the best machine covered in this review. Because this is our budget category, we stuck to machines with costs that ranged from the very cheap (around $30) to a mid-tier ceiling (around $100). We sought out models that had a rating of at least 60 points on Consumer Reports and cross-referenced them with Amazon's best-sellers list. Though taste was of utmost importance when evaluating higher-end coffee makers and is still important here, other factors like usability and footprint weighed more heavily in our search for the best cheap coffee makers. That's because features like programmability (to automatically brew a pot on a timer) are more likely to be used if you're not using expensive coffee that needs to be freshly ground. We decided that the machine should have an easy-to-use interface, produce at least eight cups of coffee, have a brew-pause option, take up a minimal amount of space on a kitchen counter, be easy to clean, and look attractive. Following the same protocol outlined in our guide to the best coffee maker, we returned to Lofted Coffee (now Sey) in Brooklyn to brew pots in each of our contenders with the help of master roasters Tobin Polk and Lance Schnorenburg. This time around, we conducted our taste test twice. First, we brewed with Lofted Coffee's own single-origin light roast to determine which machine did the best job of presenting the flavor profile they were going for. Then, we brewed a second round with a bag of cheap, pre-ground Dunkin Donuts breakfast blend to simulate a more common at-home scenario. We also brought along our trusty OXO On 9-Cup as a control for taste and other measurements, like brew temperature. 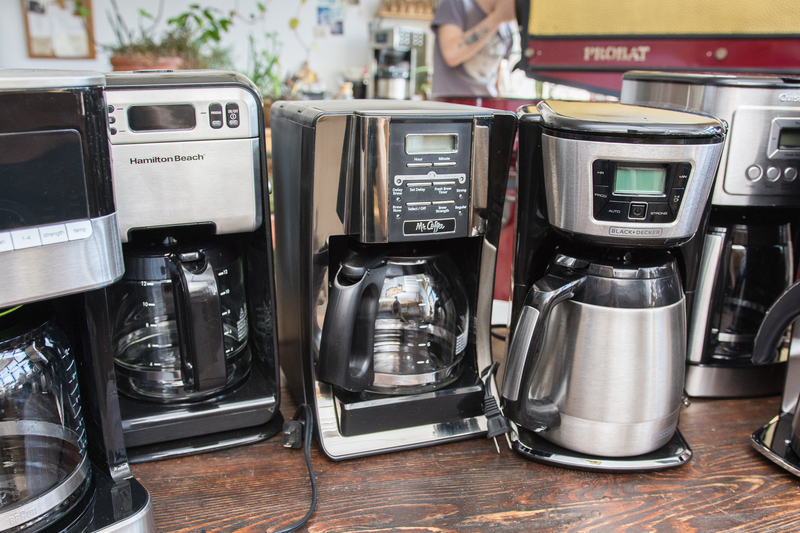 Finally, we conducted another group test in our Wirecutter test kitchen, requiring each tester to report on the usability of the coffee makers and participate in a blind taste test. 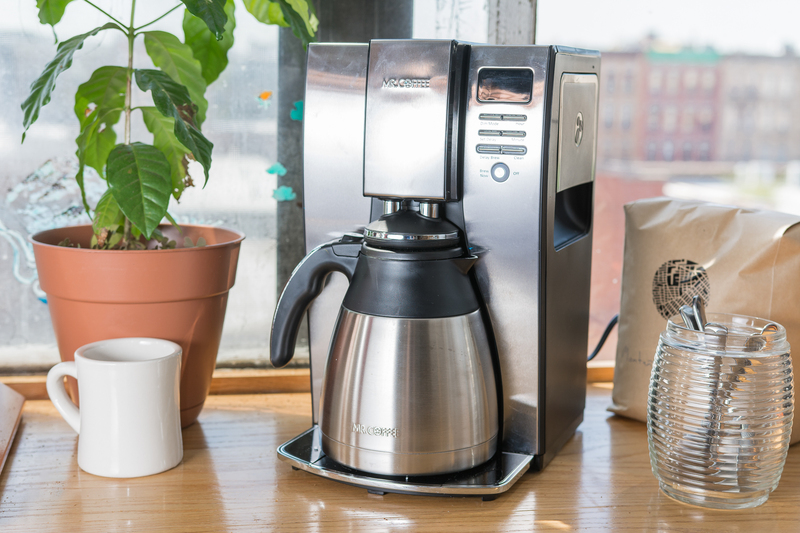 Our testers, including the Lofted roast masters, were very pleased with the taste of the Hamilton Beach using Lofted's high-end beans, though it wasn't nearly as good as the $200 OXO. Using pre-ground Dunkin Donuts coffee, however, our tasters actually preferred the Hamilton Beach to the OXO because it made a very smooth and agreeable pot of coffee without bringing out too much flavor. At 6 minutes, 30 seconds, the Hamilton Beach also had one of the quicker brew times in the lineup, which is a boon for those who need their coffee quickly. Both our testers and Amazon customer reviews thought the black plastic highlights looked a bit low-grade, and there were concerns about the machine failing after a year. The new version of this machine, the 46205, seems to have addressed these issues, and we haven't experienced any problems in several months of testing. 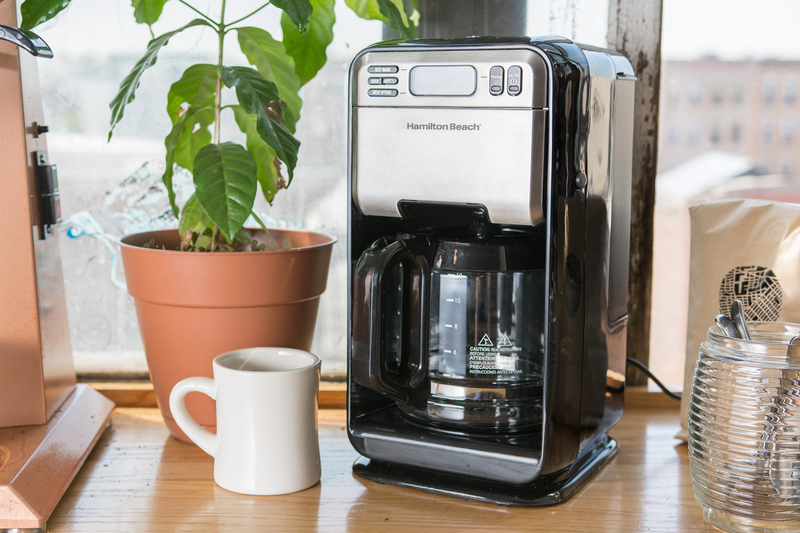 We also wish that the Hamilton Beach brewed slightly hotter coffee. At 194 degrees, it's acceptable, but our runner-up pick is a better choice for people who like their coffee piping hot. For hotter coffee with a taste that came close to that of the Hamilton Beach's coffee, we recommend the Mr. Coffee Optimal Brew 10-Cup Thermal Coffee Maker (BVMC-PSTX95). This model ranked second in our taste test, brews coffee faster than any other machine we tested (5 minutes and 15 seconds), and makes very hot coffee—a full 8 degrees hotter than that of our top pick. But considering how close the machines were, and the fact that the Hamilton Beach typically sells for half the price, this Mr. Coffee is only our runner-up pick. Although the Mr. Coffee 10-cup's panel is not the simplest to navigate, we preferred its user interface to those of similar machines. It has a sturdier—if larger—frame than the other machines we tested, and our testers particularly appreciated the tight fit of the carafe under the waterspout. It also comes equipped with a thermal carafe, although we found it only mildly effective at keeping coffee hot for longer than half an hour.